HONG KONG—Three reigning Commonwealth Games gold medalists will join elite bowlers from around the world to compete in the Hong Kong International Bowls Classic starting this weekend. Australian Natasha Scott, who struck gold in the Triples and Fours at the Commonwealth Games in Gold Coast this April, and the Malaysian duo of Siti Zalina Ahmad and Emma Firyana Saroji, who prevailed in the women’s pairs in the same event, will be among the global elite bowlers who visited Hong Kong for one of the best outdoor lawn bowls competition in the world. This year the Classic will be held from Nov 10 to 18 at Craigengower Cricket Club, Hong Kong Football Club and Indian Recreation Club. Top bowlers from Australia, Brunei, Canada, China, England, Ireland, Malaysia, Malta, New Zealand, Philippines, Scotland, Thailand and Wales will join local elite players to compete for the singles and pairs titles. In the Singles commencing this Saturday, Australian Jesse Noronha and Hong Kong girl Vivian Yip will be in action to defend the Singles titles they won last year. On his path Noronha will face strong challengers from compatriot Ben Twist, a World U25 Singles champion, and Commonwealth Games silver medalist Hizlee Rais from Malaysia. New Zealander Andrew Kelly, a Classic pairs winner back in 2009, also returns with compatriot Blake Signal to try bring the title back to his country. Hong Kong Bowler of the Year Tony Cheung, who just returned with a silver medal at the World Singles Champion of Champions from Sydney last Sunday, and a gold and a silver at the Asian Bowls Championship in China last month, will hope to complete a successful bowling year with a Classic title. In the women’s section, in addition to Scott and the two Malaysian ladies, Hong Kong Football Club’s Yip will also face strong challenge from another Australian Ellen Ryan, who won the 2016 Commonwealth Youth Games gold medal. Another local player to watch is Kowloon Cricket Club’s Tammy Tham. She represented Singapore in the World Singles Champion of Champions last week and finished as a semi-finalist, losing to the eventual champion Jo Edwards from New Zealand. The Singles is a knockout competition that will be played on Nov 10-11 at the three venues, with the finals being held at the Craigengower Cricket Club on the afternoon of Nov 11. 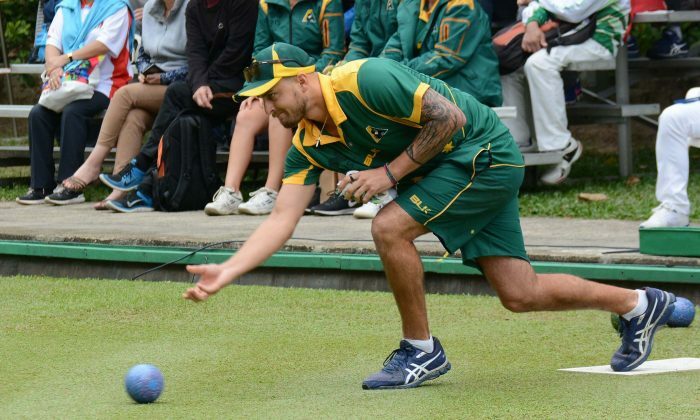 The 64 competitors include overseas bowlers and Hong Kong’s top bowlers comprising winners of national Singles events and qualifiers from local clubs. Following the Singles will be a Pairs competition, which lasts for seven days. Twenty-four teams of each gender will divide into two groups to play out a round robin competition. The top team from each group will enter the semi-finals directly, while the second and third place teams will meet in a play-off to fight for places in the semi-finals. Same as last year, all finals will be broadcasted live through YouTube on Internet. Bowlers from around the world may go to http://www.hklba.org/live to enjoy the finals. Details of the fixture can be found on the Hong Kong Lawn Bowls Association website www.hklba.org. The Hong Kong International Bowls Classic will start this Saturday (Nov 10) from 9:00 am at Craigengower Cricket Club, Hong Kong Football Club and Indian Recreation Club. Claudius Lam is an officer of the Hong Kong Lawn Bowls Association.